Yesterday morning we highlighted that even as the broader cryptocurrency universe had gotten slammed following the latest threats out of South Korea, the price of the digital currency XRP, also called Ripple, exploded over the past week, and overtook Ethereum in market cap, making it the second biggest cryptocurrency in circulation after Bitcoin. 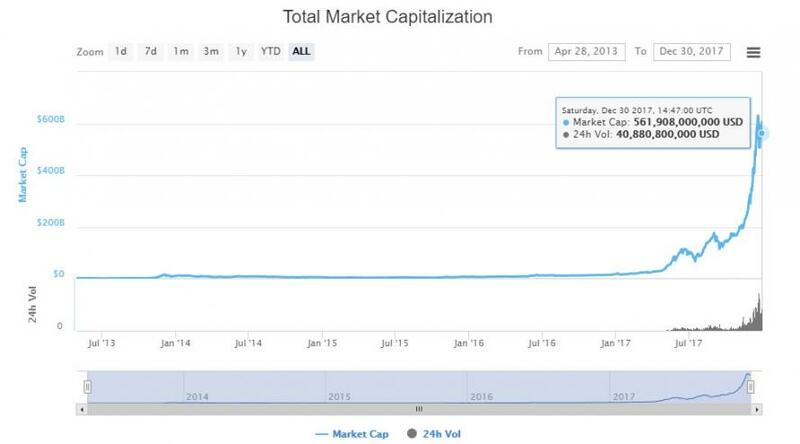 Then overnight the surge continued, with Ripple - which one week ago was trading around $1 - exploding even higher, rising as high as $2.80, or a $110 billion market cap and just over half that of Bitcoin's $212 billion, before easing slightly to $2.42 as of this moment, implying a market cap of roughly $95 billion, up 33% from $1.84 yesterday. ... entirely as a result of the spike in non-bitcoin cryptos, and specifically ripple. 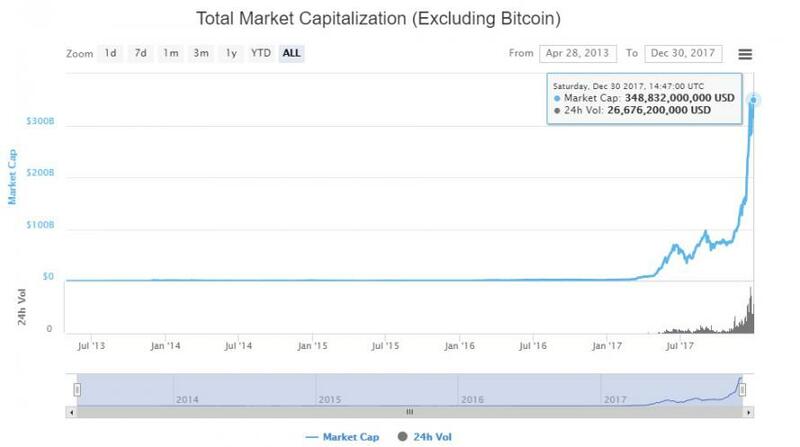 The move also means that Bitcoin's relative market cap share in the crypto universe has tumbled to just shy of its all time low, hitting 37.7% on Saturday morning, down from 85% at the start of the year. Needless to say, Ripple's ascent has been nothing short of spectacular, with the latest price of $2.40 putting XRP’s year-to-date gains at around 40,000%; dwarfing Bitcoin's 2017 return. XRP it began the year trading at less than a penny, with most of the gains coming in the last three weeks. On Dec. 11, XRP was trading at 25 cents. By comparison, bitcoin is up about 1,300%, and Ethereum is up 9,000%. What prompted the exponential move in Ripple? One of the primary explanations focuses on the digital currency's possible acceptance: indeed, for XRP, the bulk of the gains came after signs that Ripple has shown more progress in signing up banks to its closed-loop network, called RippleNet. As the WSJ reported, earlier this month, the currency got a boost after a consortium of Japanese banks signed up to test its network. The company has more than 100 banks, mostly outside the U.S., signed onto its platform. It has not disclosed amounts, but has said that some of those banks have been using it in a live environment to move money, rather than just testing it as a concept. Another, just as likely explanation, is that the "low" single-dollar price of one XRP has attracted South Korea's "Bitcoin Zombies" who unable to determine any valuation, are simply buying because it appears "cheap" and has a lot of upward momentum. 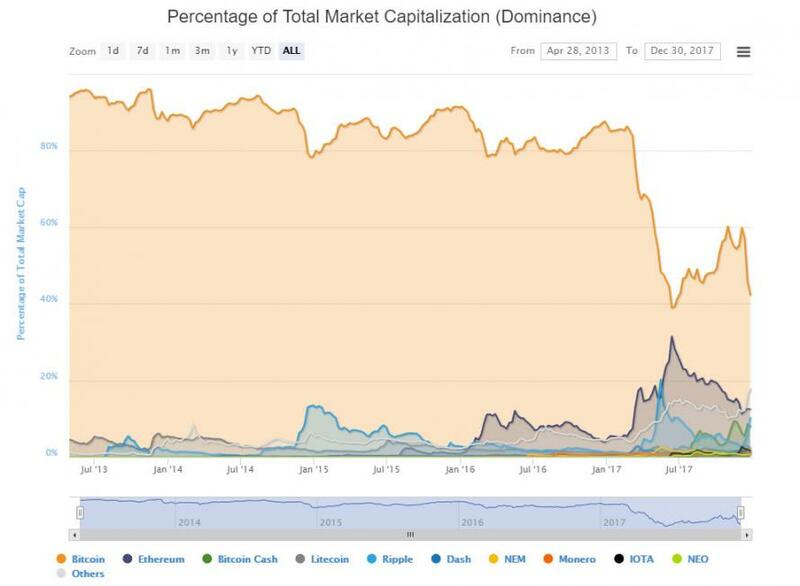 Unlike the rest of the decentralized crypto space, XRP is different from other digital currencies in that its development is being guided and controlled by a single, for-profit company, which has alienated many of the altcoin purists who believe that Ripple is a Trojan Horse attempt by commercial banks to dominate the space. Ripple the company launched its currency in 2012, as part of a plan to use the concepts behind bitcoin to build a cross-border, interbank payments and settlement network. When Ripple launched the network in 2012, it created 99 billion XRP. About 38 billion have been distributed; the company holds with rest, with plans to release them publicly over time. This implies that the value of Ripple, the company, is roughly $150 billion, the same as GE and more than IBM, and 3M, as a result of the overnight surge. And yes, with the surge in the currency’s value, Ripple’s XRP is currently worth more than $100 billion, though the company would likely have a hard time monetizing that amount quickly. Garlinghouse has also said it may use its XRP for acquisitions or as a resource to help build a wider ecosystem for its network.